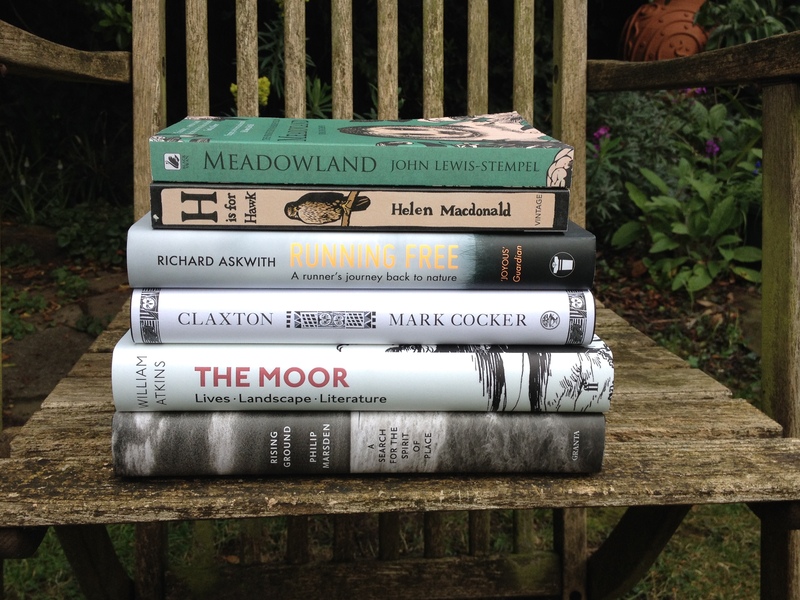 This entry was posted in Book Prizes, Non-fiction, Reviews and tagged Books, Competion, H is for Hawk, Helen Macdonald, John Lewis-Stempel, landscape, nature, Reviews, Robert Macfarlane, The Moor, Thwaites Wainwright Prize, William Atkins by wordsofmercury. Bookmark the permalink. Yes please–this looks like the most incredible shortlist and I’ve spotted/coveted most of these books individually over the past year, so I’m very keen! Enjoyed the reviews and would love to own the shortlist. Thank you. Great blog. I find myself more and more drawn to tho type of writing which is at once lush and meditative. Have only read H is for Hawk from the shortlist but Meadowlands is high on my to acquire list. Can recommend Holloway which was a previously shortlisted entry. Would love to win these books! All vinteresting – never even heard of this prize before- what a great list- enter me please! New-ish Londoner desperate to be trapped in a different type of fog! Would be delighted to own all 6. Thanks! These would be superb holiday reading whilst my husband walks some of the south west coastal path – I’m unable to walk much due to injury. I could immerse myself in the books instead. The books look great, please stick my name in the hat! Great blog post! Can I enter too please? I have only read H is for Hawk (loved it) and would love to read the others. Great post! Please, put my name in the hat, thanks! I’ve not read much nature writing – this sounds like a great place to start! Please count me in. H for Hawk is one of the best books I have read for many years and I’m very excited to hear about the rest of these from the shortlist. I’d love to enter the competition! I loved H is For Hawk, really felt like I was inside the book. But Meadowland didn’t do it for me unfortunately, at least not on first read. Would love to read the rest! Great post…can think of a few people who I know would love to share in the themes of these books! Thank you for the opportunity to enter a competition to win them. I’ve read H & Claxton (loved both) but would very much like the rest. Meadowland especially. Fingers crossed then. We are lucky to have so much talent for wrting about nature. Despite so much film bringing us wonderful experience of nature there is nothing more visceral than good writing.